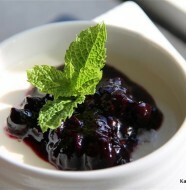 This is my friend Margaret’s recipe. She has been making these scones for many, many years and has passed this recipe on to many people because they are amazing scones. It’s a very simple recipe, but the key is to never over mix and to use chilled shortening or lard. I had Tenderflake lard in the refrigerator and used that and they turned out super tender and flaky, no wonder they call it Tenderflake. Tenderflake is also great for making pie dough, it’s what my Mom has used as long as I can remember and her pie crusts are the flakiest. 1 cup shortening, lard or unsalted butter chilled and diced into 1/2 inch chunks- I used the lard(tenderflake) because that’s what I had on hand and they turned out really well. 1. Preheat oven to 425 degrees F. Rinse off the raisins and let them sit in the 1 cup of buttermilk until you need to add them. 2. 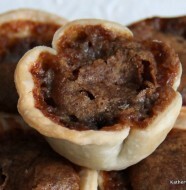 In a bowl combine the flour, sugar, salt, baking powder and baking soda. Cut in the lard, shortening or unsalted butter until the mixture is crumbly with pea sized pieces. 3. 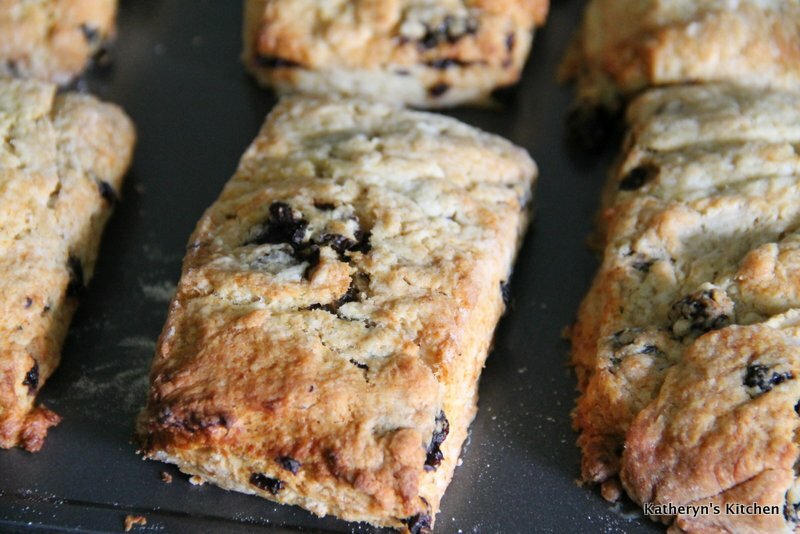 Add the buttermilk and raisins, mix until just pulled together and moistened, do not over mix or you will break down the fat too much and you won’t have the light flakiness that makes these scones so great. 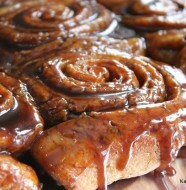 The dough will seem sticky but that’s ok.
4. Remove the dough from the bowl and place on a lightly floured surface. 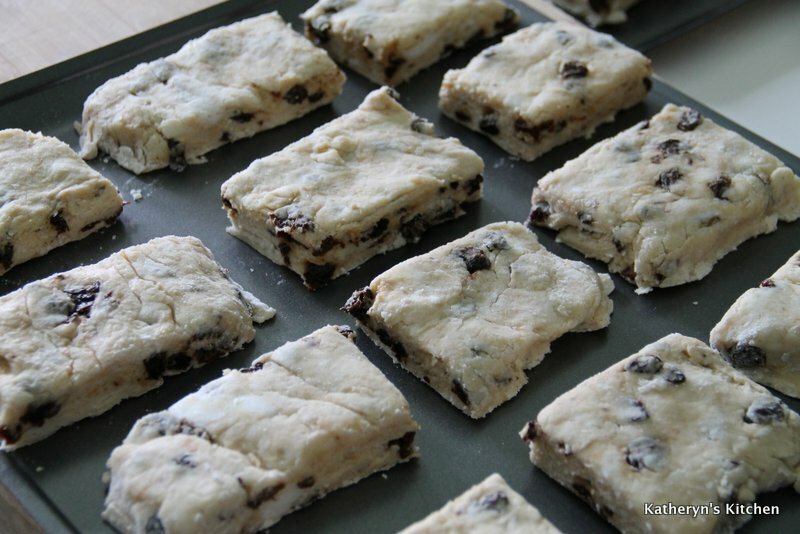 Shape the dough into a square until the dough is about 1 inch thick. 5. Cut the dough into about 2 inch in diameter squares. Place on parchment lined baking sheet or a non-stick baking sheet. 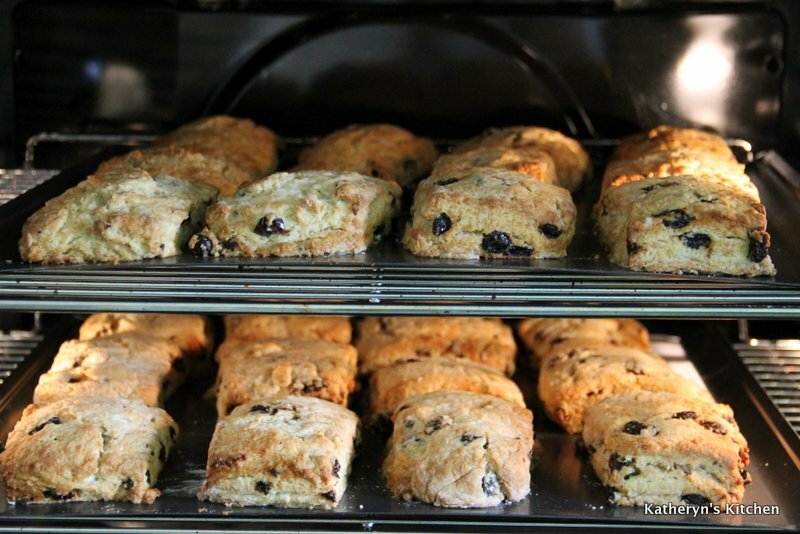 Bake for 10-15 minutes, until light brown on top and on the bottom of the scones. They cook very quickly, put on a timer because if you over bake them, they will be dry. When finished let cook slightly on a rack and serve warm with butter and jam, try my raspberry rhubarb or apricot jam. I freeze the scones because they loose their freshness fast. I will bring them out as I need them and either warm in the microwave for a few seconds or ideally in a 375 degree F oven for 10-15 minutes. Wrap them in tin foil if you are heating them up in the oven.